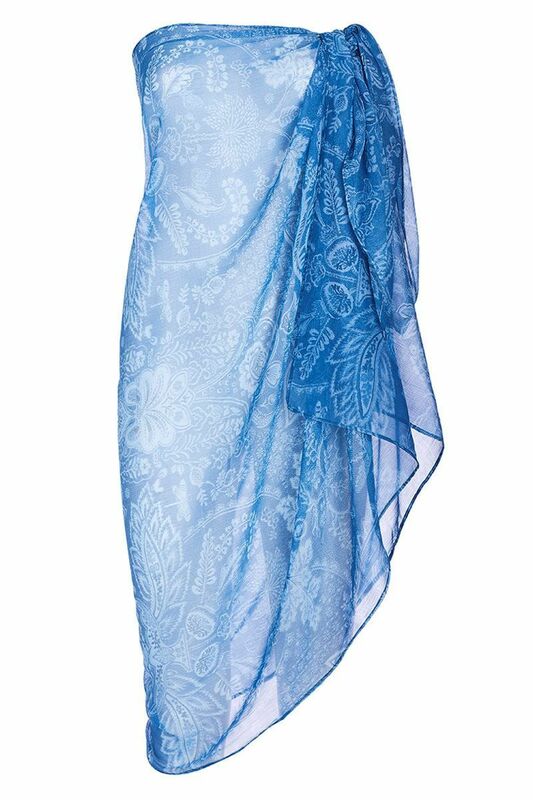 Alice' is a graceful, flowing pareo; the perfect accessory for a day at the beach. Decorated with the subtle 'Diwali' pattern in clear blue. Note: the cut-out of the print may differ from the image.